Singer best known through his prolific social media posts on platforms like Instagram, Vine, and Twitter. His most popular account is his Instagram, where he has over 390,000 followers. He first rocketed to fame after he posted photos with Drake and Jay Z in late 2014 and early 2015. 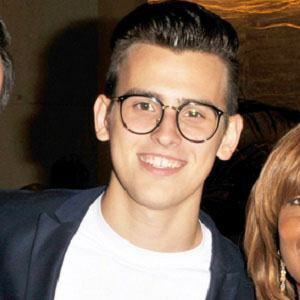 He received a scholarship for outstanding work in musical theater from Archbishop Stepinac High School and later would appear as a singer on Dancing with the Stars. He hails from Albania but spent much of his high school and career in New York. He has an older sister and three brothers. Rudy Mancuso and Justin Bieber visited him at a show where he performed in summer 2015.